An eccentric annular duct is a prototype element in a number of engineering applications. Numerous modeling and experimental efforts have been made to investigate the details of the flow field and heat transfer characteristics in such kind of ducts [1, 2, 3]. 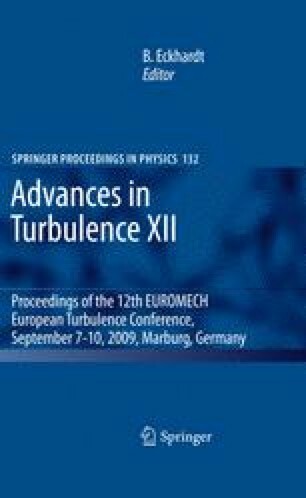 As for the turbulent flow in eccentric annular duct, it is interesting from a fundamental point of view since it presents an ideal model for investigating inhomogeneous turbulent flows, where the conditions of turbulence production vary significantly within the cross-section.